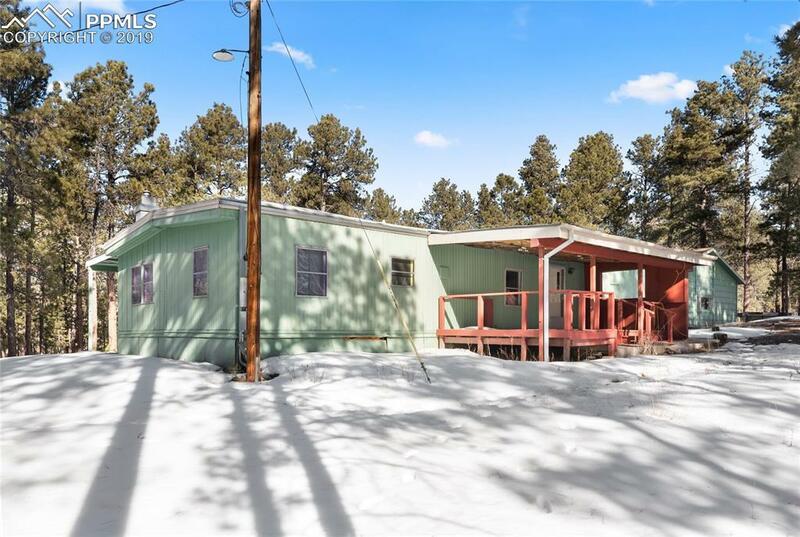 Gorgeous mature treed 5 acre property in central Black Forest with 1,500+ square foot manufactured home, manufactured workshop and a 25x31 detached garage. Award winning School District 20. 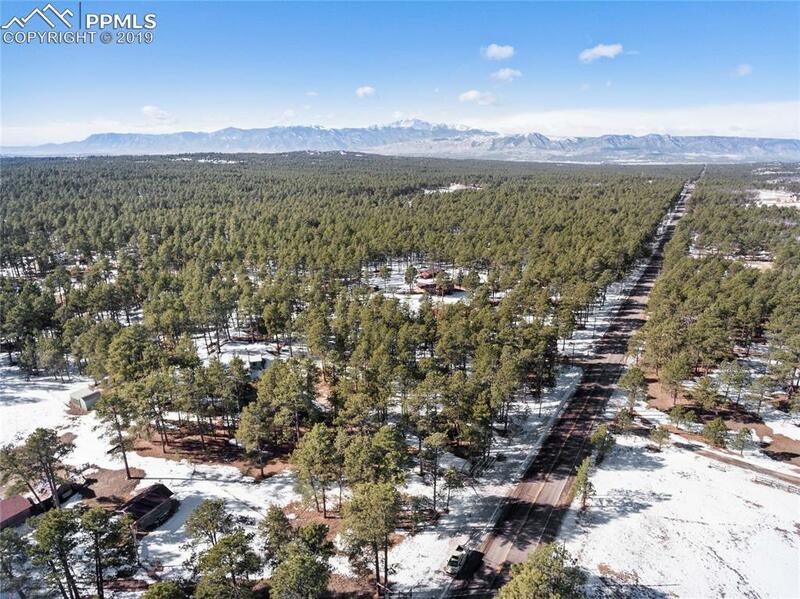 Fantastic location near Section 16 (over 600 acres of open space and riding/walking trails) and the new Pineries Open Space (over 1,100 acres of open space and riding/walking trails). Huge savings with existing well, septic and electric. Zoned for horses. Outbuilding friendly. RV parking allowed. Desirable domestic well. The current manufactured home is being sold as-is. Buyer could remodel existing home or remove and build a new house. 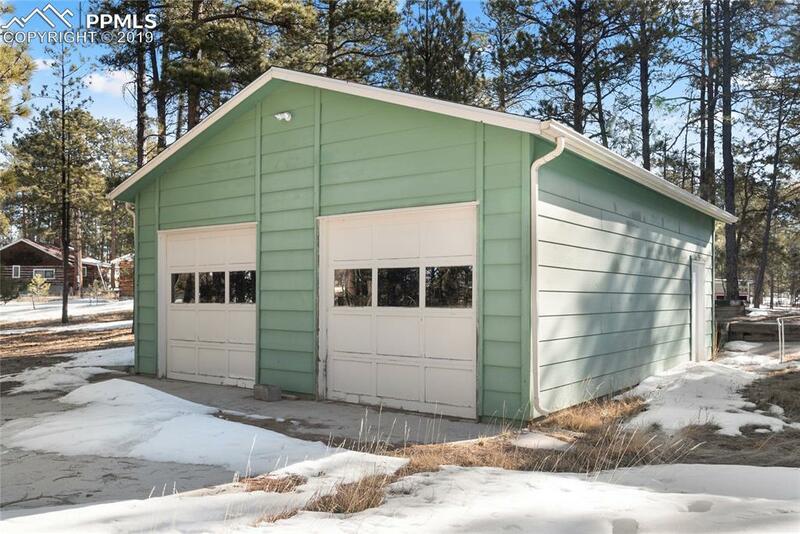 The 25x31 garage is in fantastic condition and is over-sized. 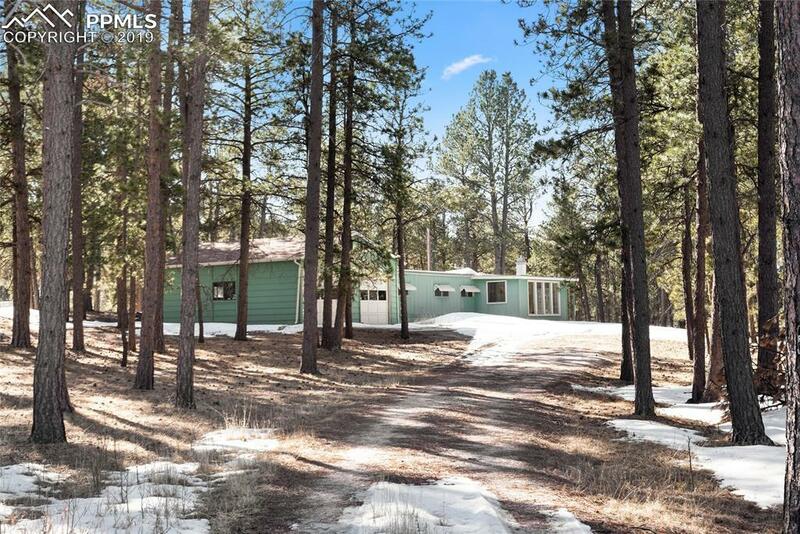 The home has 3 sizable bedrooms, 2 baths, wood burning fireplace and a large attached sunroom.